While it's fun to watch Hollywood action heroes hack into cameras to spy on their targets, the thought of an actual cybercriminal using our own security devices against us is chilling for most. That's what makes the iPM World HD 360 Degree 1080p Wireless IP Camera essential for anyone looking to deter digital and physical intruders alike, and it's available today for $44.99. Completely encrypted and capable of rotating 360 degrees, the IPM World Wireless Camera lets you monitor your living space while keeping your feed under lock and key. You can view footage from your smartphone via the WiFi client and rotate it remotely to get the perfect angle. Plus, with infrared night vision built in, you can keep tabs when the lights are off. 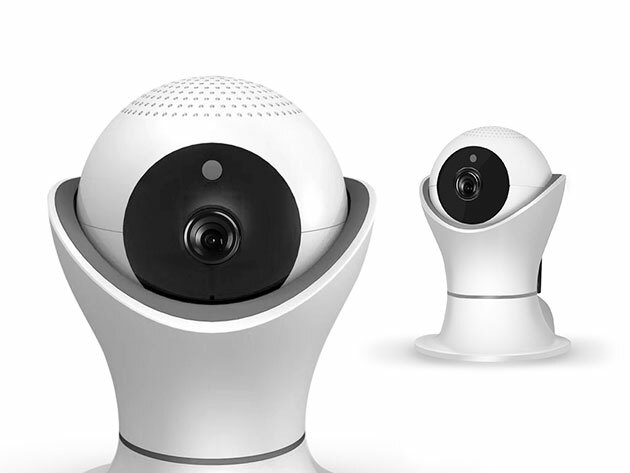 The iPM World HD 360 Degree 1080p Wireless IP Camera is available in the Boing Boing Store today for $44.99.